I would like to buy these items from local antique shop. Could you please help me to identify about the age. 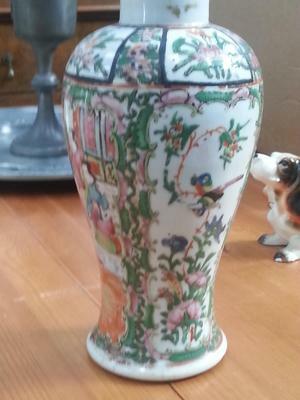 The large vase surface is thick but I am not sure about the age of this. I may pass these items not to buy. I cannot help much with the plate. 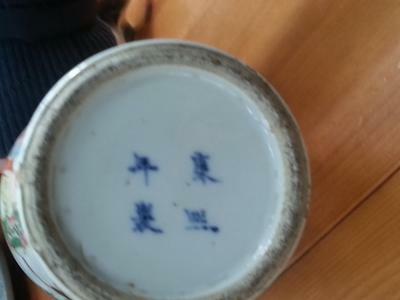 Despite its Chinese motif it seems to be Japanese. The mark looks Japanese. 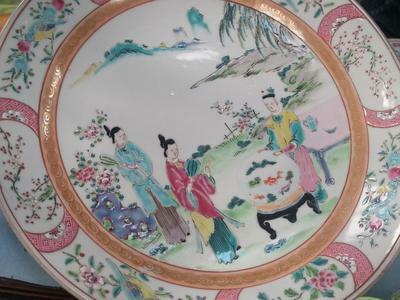 I have seen Japanese items with such Chinese motifs before. Often it is only the mark and colors used which gives them away. With the vase you should have uploaded a closeup of a face. Faces are decisive in deciding age. One other thing is to check if the surface of the vase is smooth; if it is, then it is later made. If it is thick, uneven enamel, then it is more likely antique and handpainted. Colors are important too, but the way people are painted on such items is very important. These vases were made far into the 20th century, however it is easy to check if they are antique, if you know what to look for.